A UNESCO committee is expected to cite Japan's wartime brutality of forcing Koreans into harsh labor at some of its newly designated World Heritage sites, a government official here said Monday. 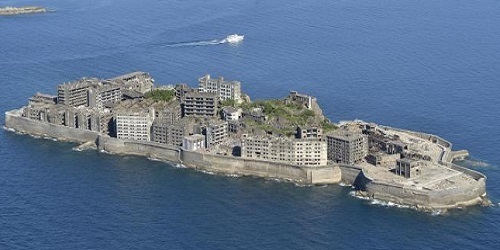 23 industrial facilities, including those on Hashima Island. Many Koreans were taken to seven of the mines, foundries and shipyards for forced labor when their country was under colonial rule from 1910-45. At focus is whether the 21-member panel will address concerns about Japan's follow-up steps.Confronted with South Korea's strong protest against Japan's UNESCO bid in 2015, Japan's representative stated at a formal World Heritage Committee session at that time that some Koreans "were brought against their will and were forced to work under severe conditions." For Japan, the statement was a concession, although it fell short of South Korea's desire for the use of the expression "forced labor." The Japanese government also agreed to take appropriate measures to commemorate victims and let people know about the dark history, including the establishment of an "information center." Japan, however, angered Koreans last year with an announcement that it would set up a think tank-style information center in Tokyo, far away from the UNESCO heritage sites. In its own report submitted to UNESCO, Japan dropped the word "forced" and claimed that those hailing from Korea provided "support" for Japan's industry. "The (South Korean) government's position is clear and certain that it can't accept" Japan's attitude, the official told reporters on the condition of anonymity. On a resolution to be adopted at the ongoing UNESCO meeting, he said, it will refer to Japan's 2015 statement in the pre face and footnotes, and call for dialogue between "parties involved,"apparently meaning Japan and South Korea. "A decision is expected around Wednesday," he said.